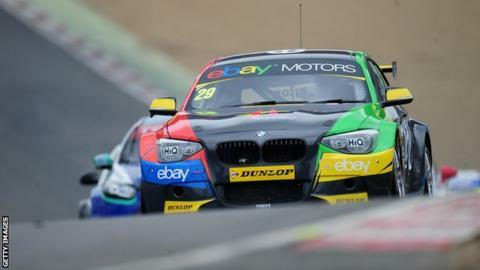 Colin Turkington moved closer to clinching his second British Touring Car Championship title by securing three podium finishes at Silverstone. The BMW driver from Portadown was runner-up behind nearest challenger Jason Plato in race one and the drivers finished in the same order in race two. Turkington was third in the third race, won by Mat Jackson, with Plato fourth. The Northern Ireland man remains in pole position to seal the series success at Brands Hatch on 12 October. Plato won the opening event of the day after getting the better of Turkington in an early tussle. Turkington led early on, but Plato dived down the inside on lap three. Plato scored a second victory of the day as he once again made a stellar move past Turkington in the early stages.